ii) Orange capsules accompanied with Chinese leaflet titled “百合保健素"
2 Members of the public who are taking “MONTALIN” capsules are advised to stop using it immediately. However, for those who have bought “百合保健素”(Bai He Bao Jian Su) found to contain a potent steroid and other undeclared ingredients, they are advised to consult a doctor immediately, particularly so if they have been taking the product for more than one week. These consumers should not stop taking the product on their own without seeking proper medical advice, as sudden discontinuation of the product can cause serious withdrawal symptoms, such as confusion and low blood pressure. For photos and more information on the potential dangers of these products, please download the pdf version and refer to Annexes A & B. 3 An astute doctor had reported that two of her patients suffered from adverse effects after taking “MONTALIN”, sold under the guise of traditional Jamu medicine for pain relief. One of the patients, in her 70s, who had taken the product for 2 weeks, was admitted to hospital for sudden lower limb and facial swelling. The product was purchased by her relative from overseas. Another patient in her 60s experienced sudden weight gain and high blood sugar after 3 months of taking the product given by her friend. 4 Investigations and testing by HSA detected undeclared medicines such as piroxicam and paracetamol in the product samples. 5 HSA received feedback from a member of public who was concerned about the safety of some orange capsules sold by a local Chinese female. The product, to be taken orally or applied on the skin, purported to treat more than 40 medical conditions such as rheumatism, pneumonia and infections of the skin. 6 The product would be sold in a small zip-lock bag of 30 capsules and usually accompanied with a leaflet titled “百合保健素”, describing the indications and ingredients in Chinese, and a name card bearing the seller's contact details. A total of 6 different western medicinal ingredients, which should only be used under medical supervision were found in the capsules. The 6 undeclared ingredients were bethamethasone valerate (steroid), chlormethiazole, chlorpheniramine, famotidine, frusemide, and piroxicam. 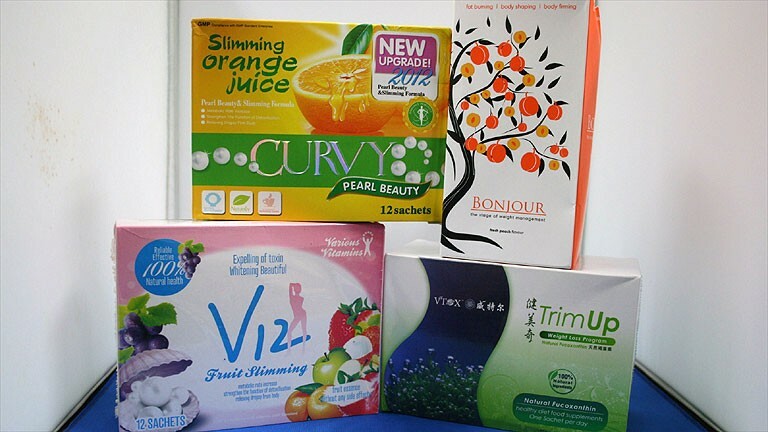 7 HSA warns sellers to stop the sales and distribution of these illegal products. Complementary health products are not allowed to contain western medicinal ingredients or substances controlled under the Poisons Act or Health Products Act. Anyone found convicted of selling these illegal products will face a penalty fine of up to $10,000 and/or imprisonment for a period of up to two years under the Poisons Act, and a penalty fine of up to $100,000 and/or imprisonment for a period of up to three years under the Health Products Act. 8 Sellers should be cautious when sourcing for health products to sell and are reminded of their responsibility in ensuring the safety of the products and adherence to local legislations prior to introducing them to the market, including selling them online. 9 HSA advises members of the public to stop the use of “MONTALIN”. For those consuming the steroid-containing “百合保健素”, they should consult a doctor as soon as possible before stopping the product. Sudden discontinuation of steroids without proper medical supervision can cause serious withdrawal symptoms such as weakness, fatigue, confusion, low blood pressure and bowel obstruction, especially when these products are taken for more than a week. 10 Consumers with medical conditions are also advised not to self-medicate and to seek proper medical advice for their conditions. In general, consumers should exercise discretion when buying health products, especially those with exaggerated claims or which offer “quick-fix” solutions. Unlike other commodities, consumption of poor quality and falsely labelled health products can cause serious health effects. 11 Members of the public who have any information on the sale of these two products or other illegal products may contact HSA's Enforcement Branch at Tel: 6866-3485 during office hours (Monday to Friday) or email: hsa_is@hsa.gov.sg. Additionally, members of public are encouraged to visit www.healthdangers.sg to learn more about the dangers of buying illegal health products from dubious sources.